Reece James, Kieran Trippier and Ryan Sessegnon are all being linked with summer moves. 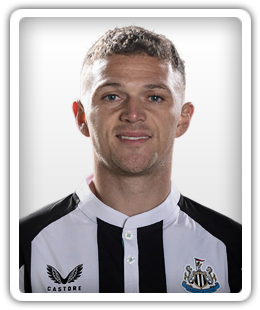 Atletico Madrid reportedly join Manchester United and Napoli in the race to sign England full-back Kieran Trippier from Tottenham Hotspur this summer. Tottenham Hotspur could reportedly consider cashing in on Christian Eriksen this summer in order to help ease the debts accrued by their new stadium. Tottenham Hotspur reportedly want £40m for defender Kieran Trippier, ruling Italian side Napoli out of the running to sign him. Manchester United are reportedly ready to battle Napoli in the race to sign Tottenham Hotspur defender Kieran Trippier. Napoli reportedly begin to consider making a summer approach for Tottenham Hotspur defender Kieran Trippier. Tottenham Hotspur boss Mauricio Pochettino may reportedly be able to spend in the region of £150m during the summer transfer window. Tottenham Hotspur manager Mauricio Pochettino wants Crystal Palace right-back Aaron Wan-Bissaka to replace Kieran Trippier and Serge Aurier, according to a report. Sports Mole provides team news, predicted lineups and a full preview of Monday's Euro 2020 qualifier between Montenegro and England. A report claims that Tottenham Hotspur defender Kieran Trippier is a £20m target for fellow Premier League side Everton. Tottenham Hotspur reportedly face another delay to the construction of their new stadium, which they were supposed to move into last September. Dele Alli returns to training following a six-week spell on the sidelines and is in contention for Tottenham Hotspur's trip to Southampton next weekend. Danny Murphy urges former club Tottenham Hotspur to move for Crystal Palace's Aaron Wan-Bissaka before it is too late, describing him as an upgrade on Kieran Trippier. Relive Sports Mole's live coverage as Chelsea register a 2-0 win over Tottenham Hotspur in Wednesday's Premier League game at Stamford Bridge. Sports Mole looks at how Tottenham Hotspur could line up against Chelsea at Stamford Bridge on Wednesday evening. Sports Mole provides the team news, predicted lineups and a preview of the Premier League meeting between London rivals Chelsea and Tottenham Hotspur. Sports Mole looks at the latest injury and suspension news for Tottenham Hotspur ahead of Wednesday's Premier League game with Chelsea.